The media continue to discuss NATO General Secretary Jens Stoltenberg’s three-day visit to Serbia, Rossa Primavera News Agency reports on October 11. Stoltenberg arrived to Serbia on October 7. He met with the President of Serbia Aleksandar Vučić and the Prime Minister Ana Brnabić. In an interview to the Serbian RTS national TV channel, the NATO head commented on the situation when Serbia can remain the only neutral country in the region surrounded by NATO countries after Macedonia joins the North Atlantic alliance. He confirmed that this status is possible for Serbia, recalling the examples of Austria and Sweden. According to the Institute for European Affairs, about 85% or Serbian citizens are against the entry of their country into NATO. The leader of the North Atlantic Treaty Organization assured that the military block has a solely defensive nature. According to Stoltenberg, the aim of the bombing in 1999 was “to protect and save the civilian lives.” Realizing that the Serbian people remember all the horrors of the bombing, Stoltenberg recommended “to look into the future” and to focus on economic growth. “NATO Allies are the biggest investors in the region,” the NATO leader said. Stoltenberg stressed the importance of Belgrade’s cooperation with the alliance because it is a guarantee of stability. He recalled the ongoing NATO military exercises in Serbia, where Serbian rapid reactions forces are acting together with NATO forces. According to Stoltenberg, the skills acquired by the Serbian side will strengthen its ability to deal with natural disasters. Stoltenberg also said that NATO is interested in the “normalization process” between Serbia and Kosovo. “We will deal with border changes if there is some progress in the talks on this issue,” the NATO leader promised. In addition to meetings with Serbian leadership and journalists, the NATO leader also met with Serbian students from the Scandinavian Institute; he recommended that, when studying the relations of their country with NATO and Kosovo, they should “look into the future” without focusing on the past. Stoltenberg explained to the Belgrade students that the military structure he leads does not attack or spread its power to foreign lands, but it only protects peace and order. However, according to witnesses, the students disagreed with the speaker. The top NATO official also told students that in early 1960s his father was the Norwegian ambassador to Belgrade, and young Stoltenberg lived in the Serbian capital for several years. On March 24, 1999, in violation of the UN Charter, NATO forces launched Operation Allied Force, which lasted until June 10 of that year. The Western coalition justified its aggression against Belgrade by the need to protect human rights and perform “a humanitarian intervention” in order to save civilians in Kosovo and Metohija from Yugoslavian President Slobodan Milošević’s regime. 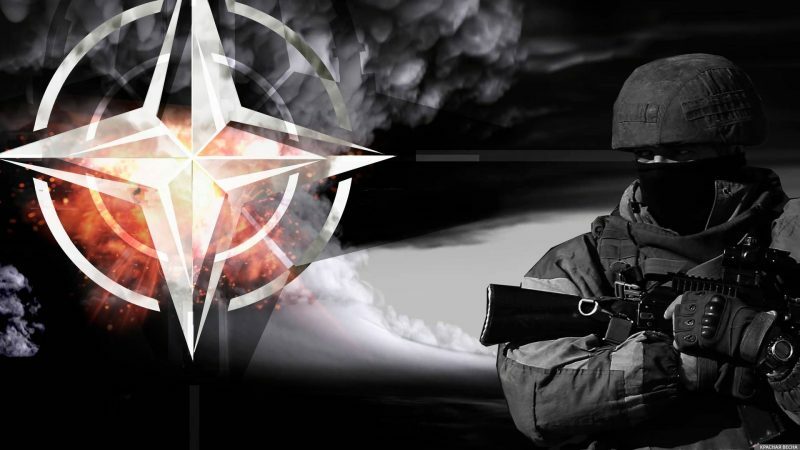 Over the 78 days of bombing, the NATO aggression inflicted great harm to Serbia. According to various sources, 1,200 to 2,500 people were killed and about 6 thousand wounded, including 2,600 children; double-purpose infrastructure including factories, fuel terminals, power plants, etc. was damaged. In one of the attacks, Russian engineers were killed; they were burnt alive in a building hit by the shelling. A passenger train came under a missile attack; it was destroyed together with the railroad bridge it was passing. Also, the air strikes damaged 48 hospitals, 88 schools and kindergartens. The Belgrade TV center was destroyed by a missile, killing 16 journalists. This entry was posted in News from the West and tagged NATO, Political War, Serbia. Bookmark the permalink.